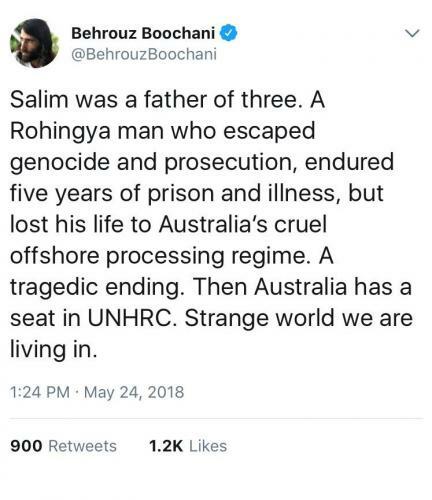 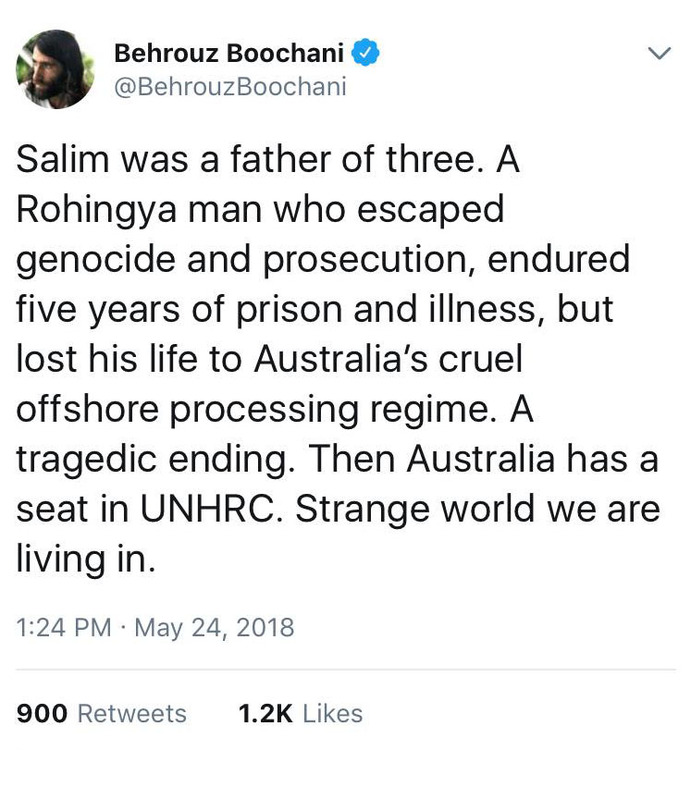 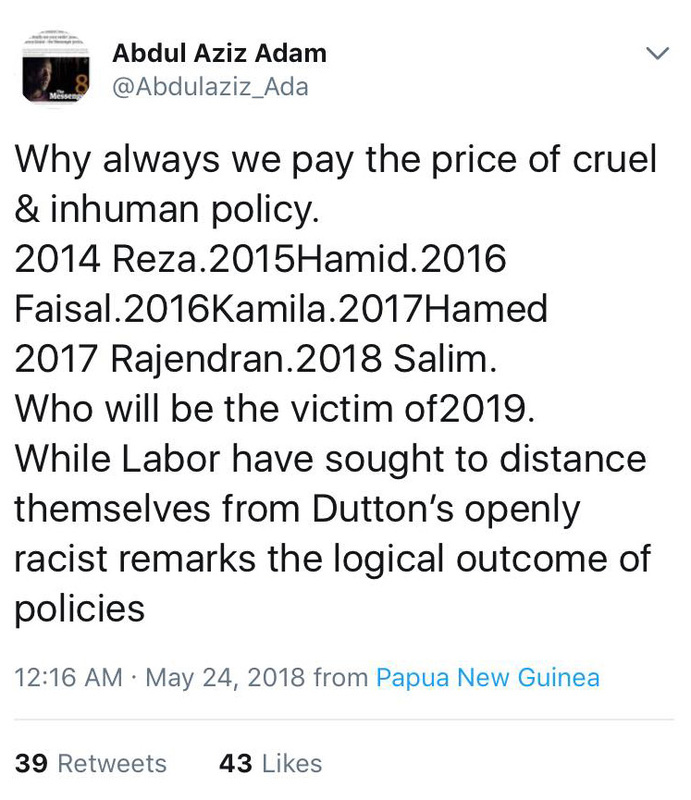 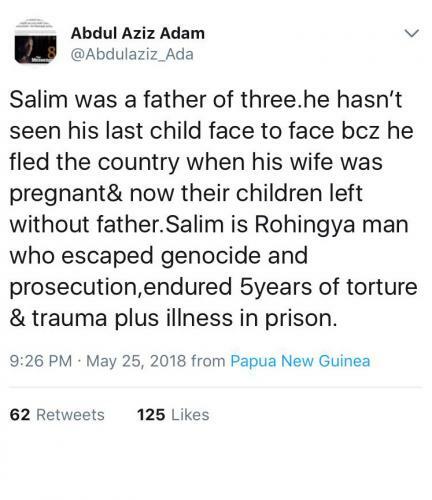 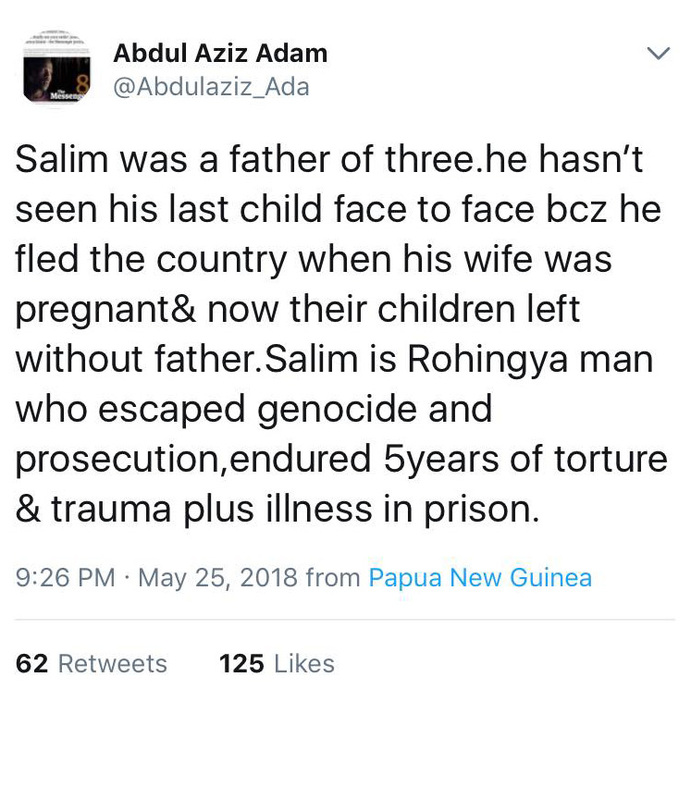 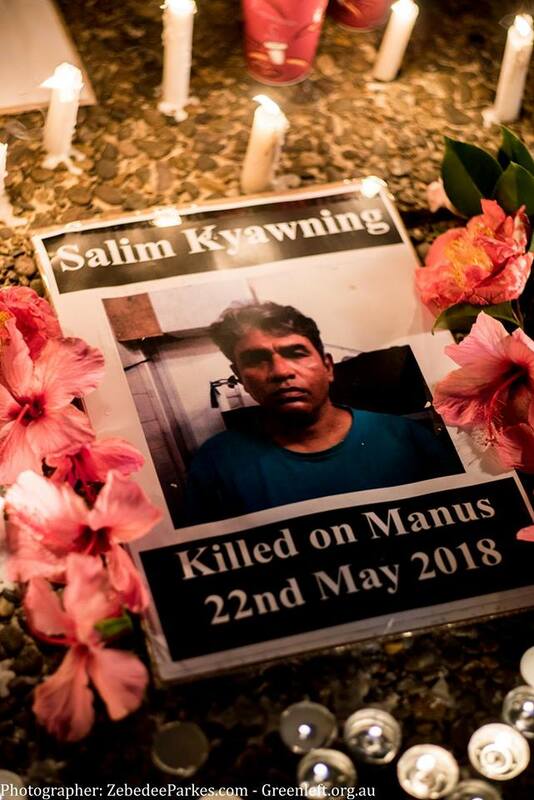 Salim Kyawning was a father of three in his early 50s, who escaped genocide in Myanmar, sought asylum in Australia and was sent by force to Manus Island after arriving in Australia by boat. 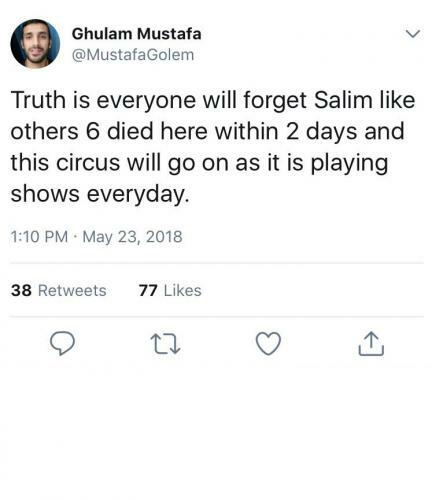 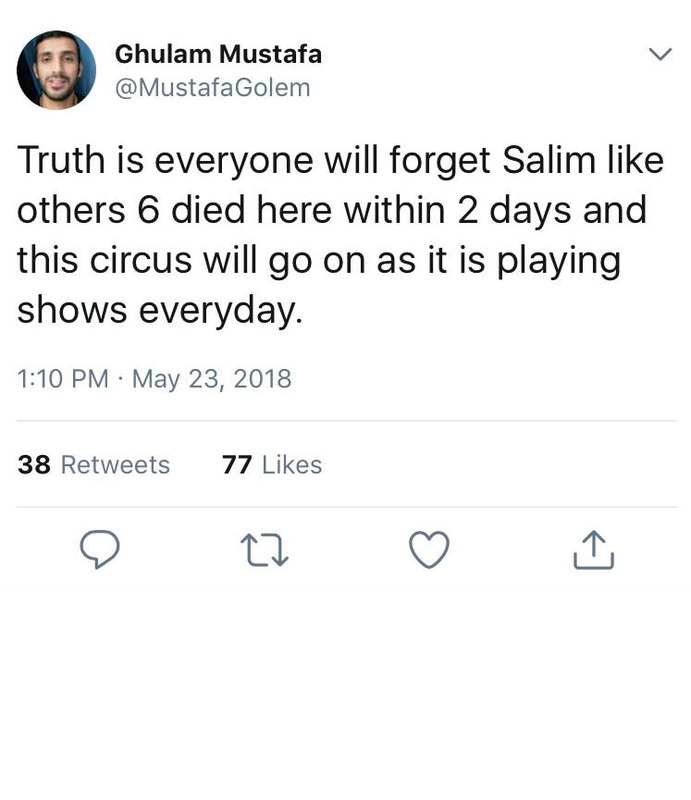 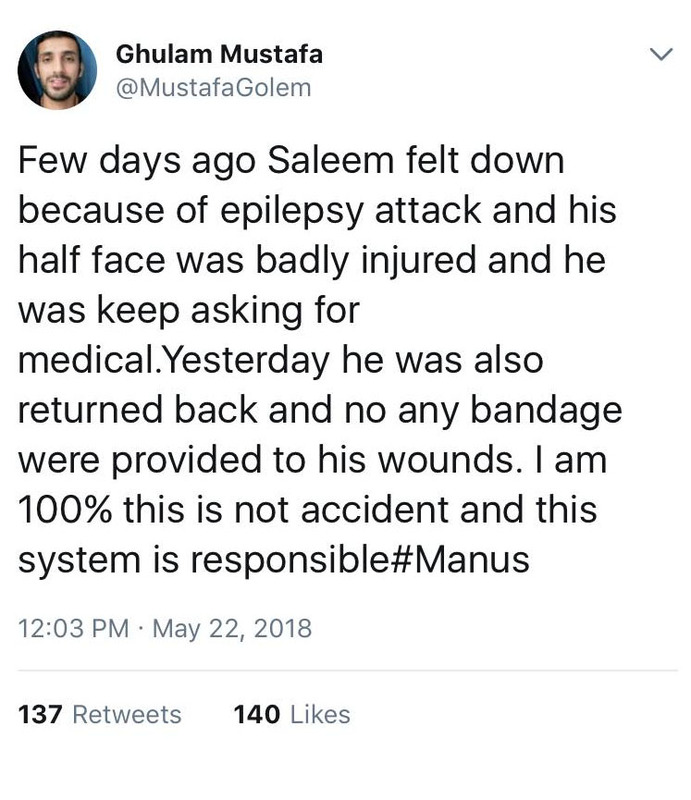 Salim was known to have suffered from epilepsy for several years. 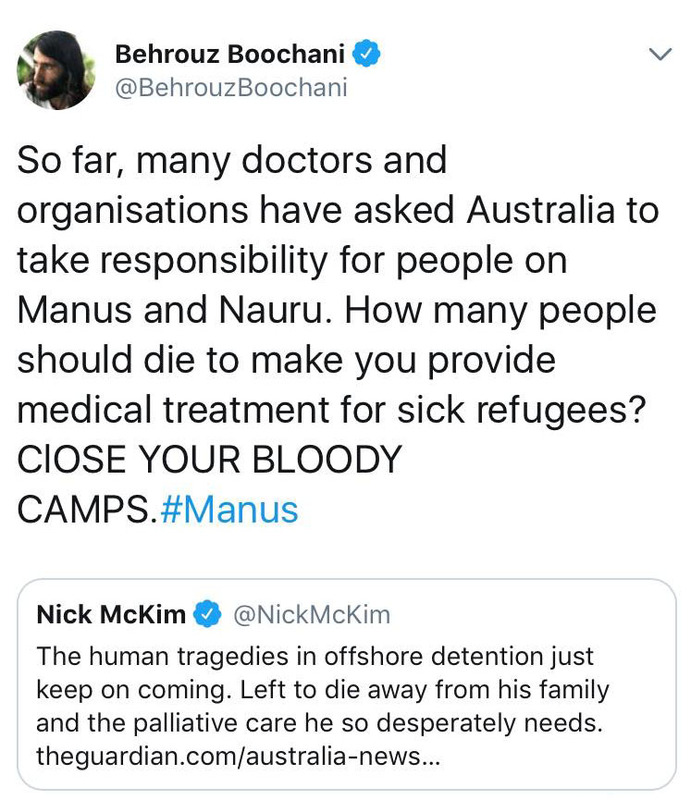 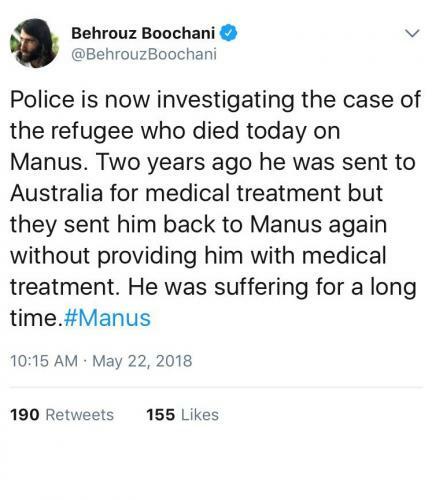 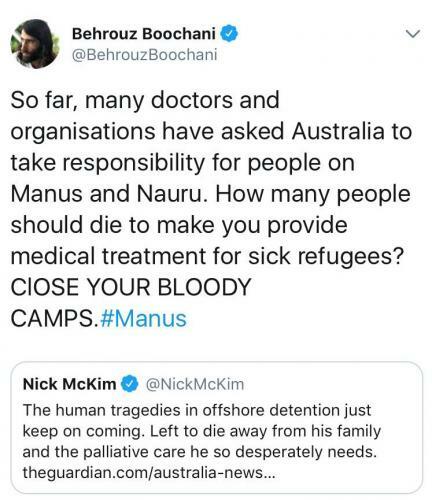 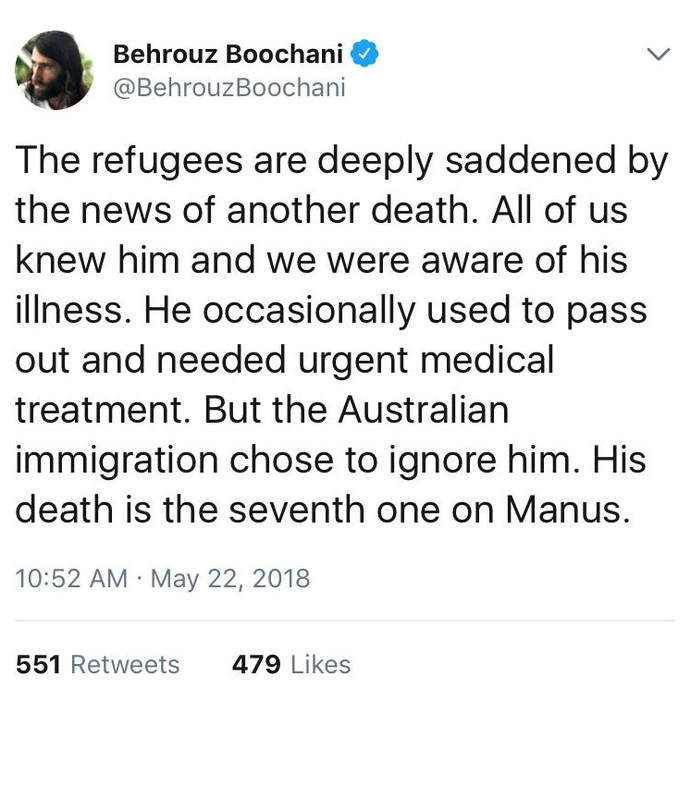 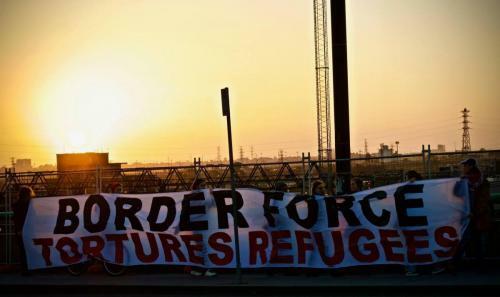 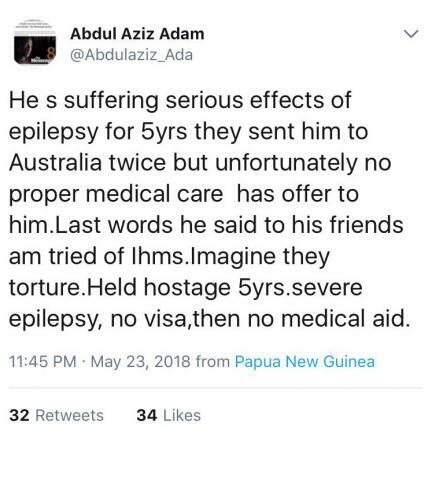 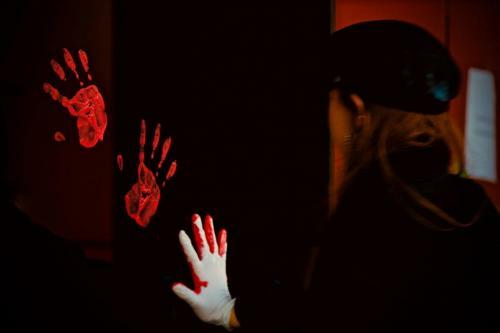 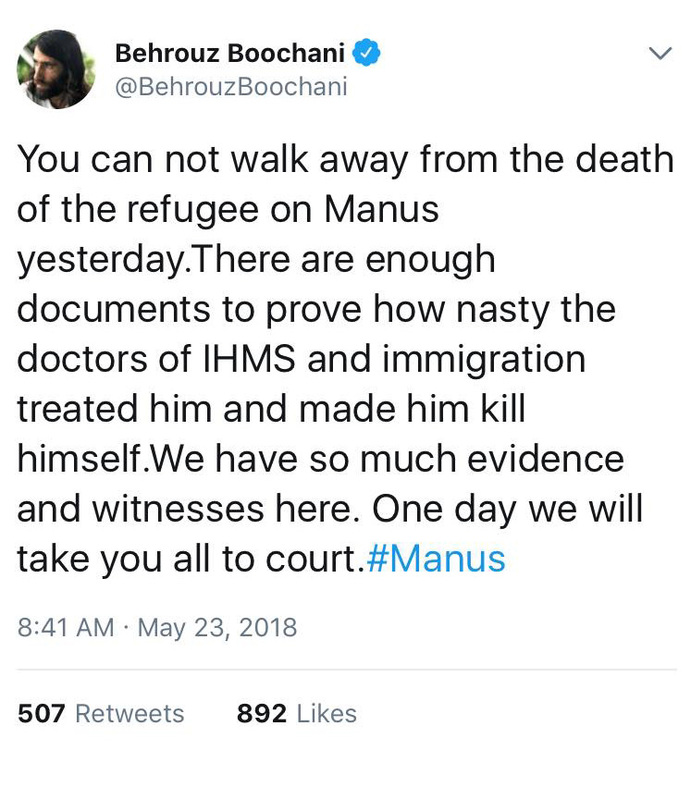 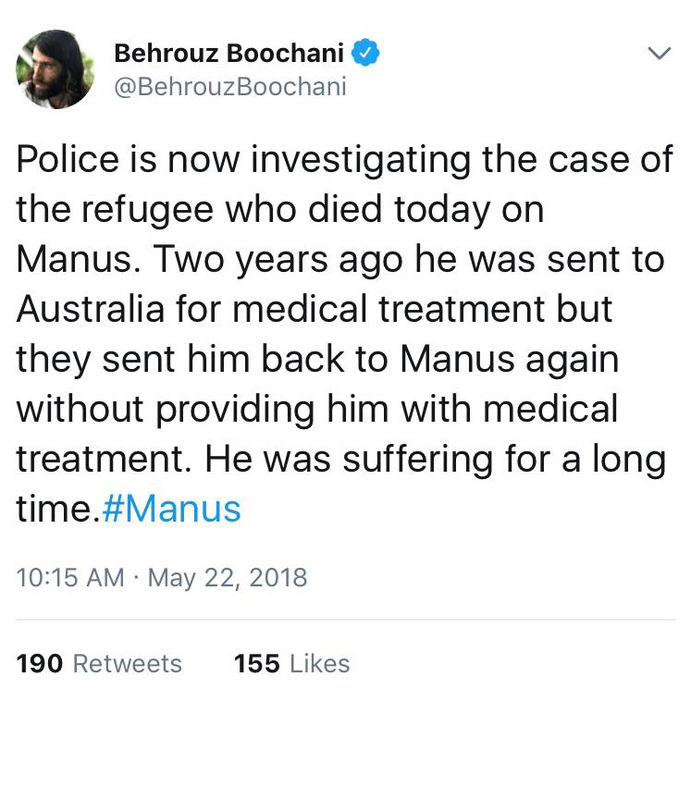 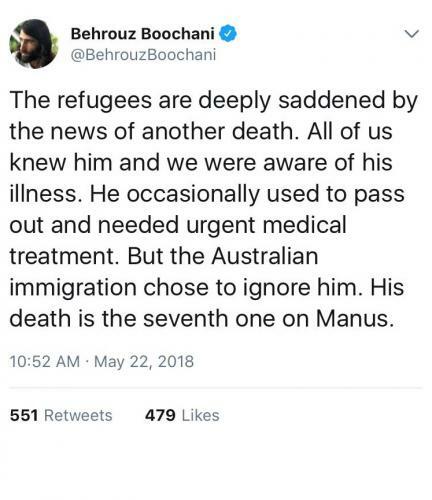 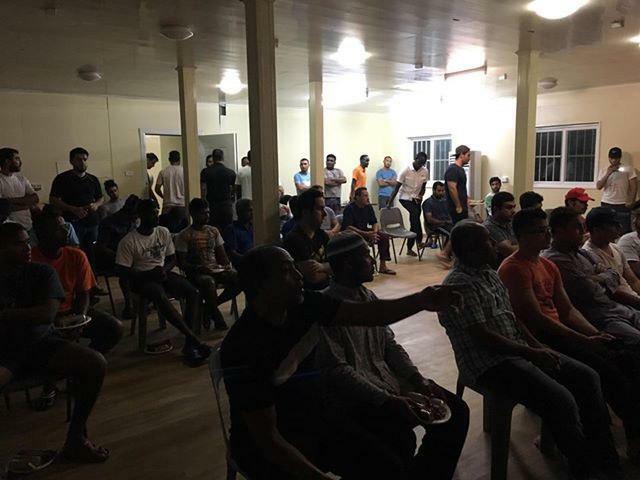 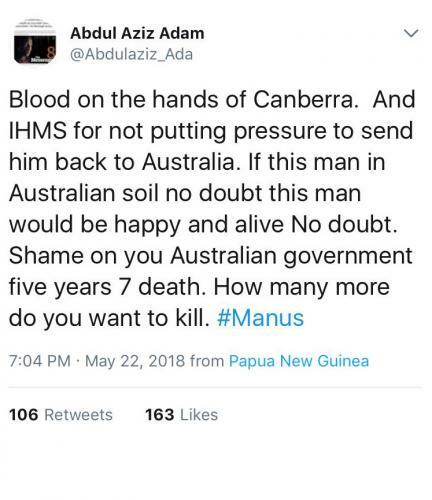 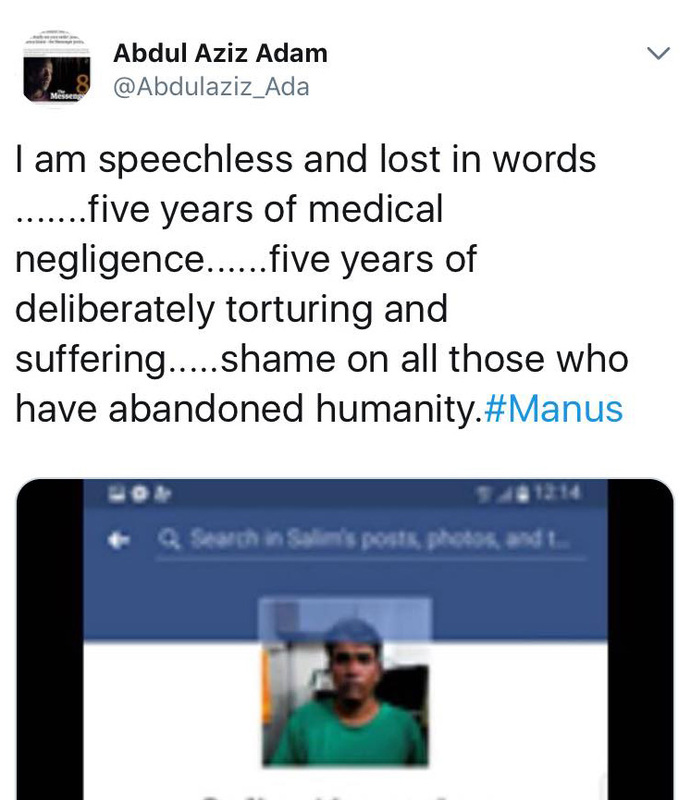 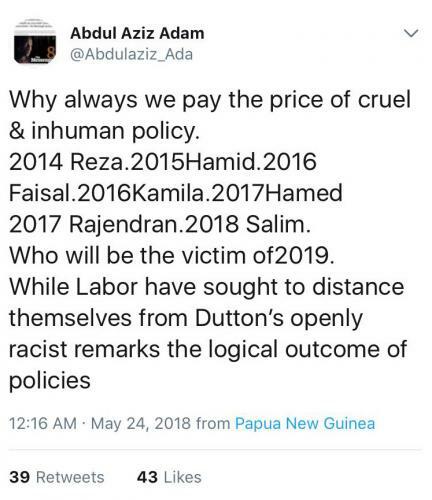 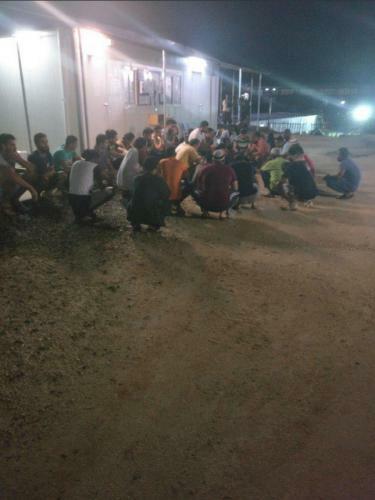 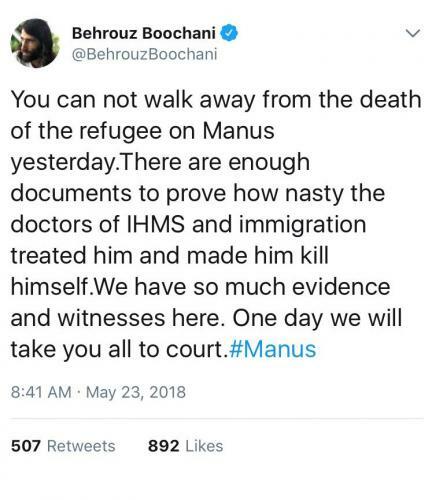 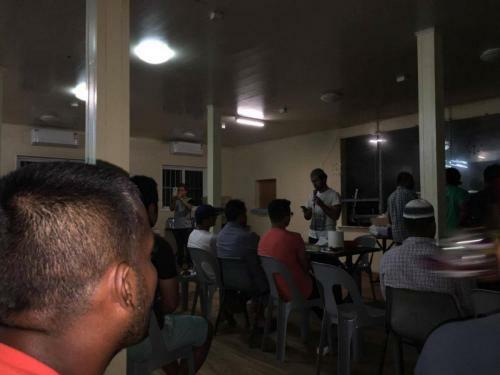 He was transferred between Manus and Australia for medical treatment on multiple occasions however in recent years pleas for medical attention went unheeded. 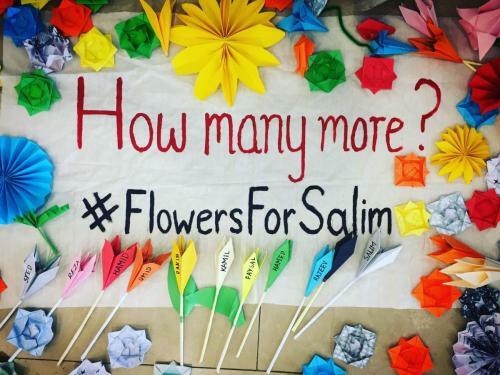 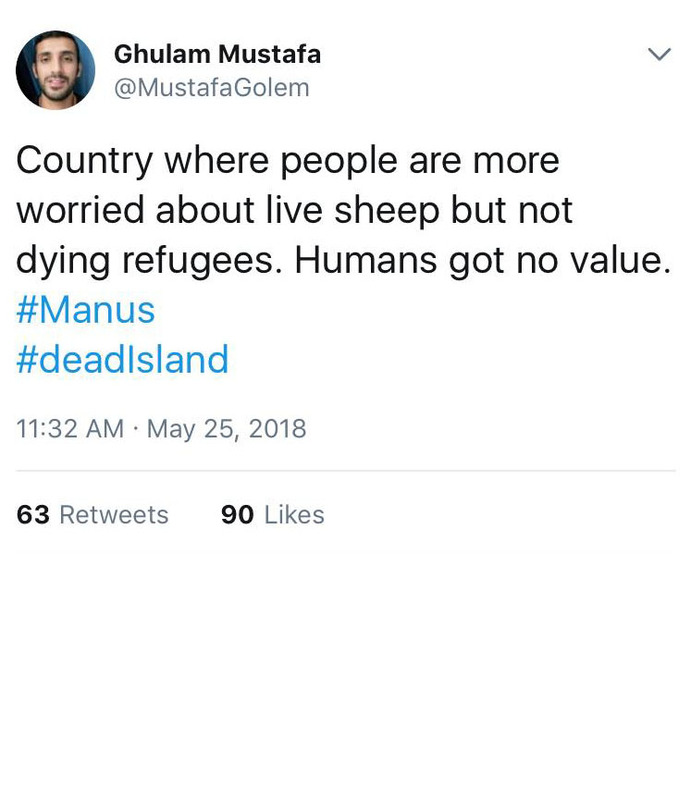 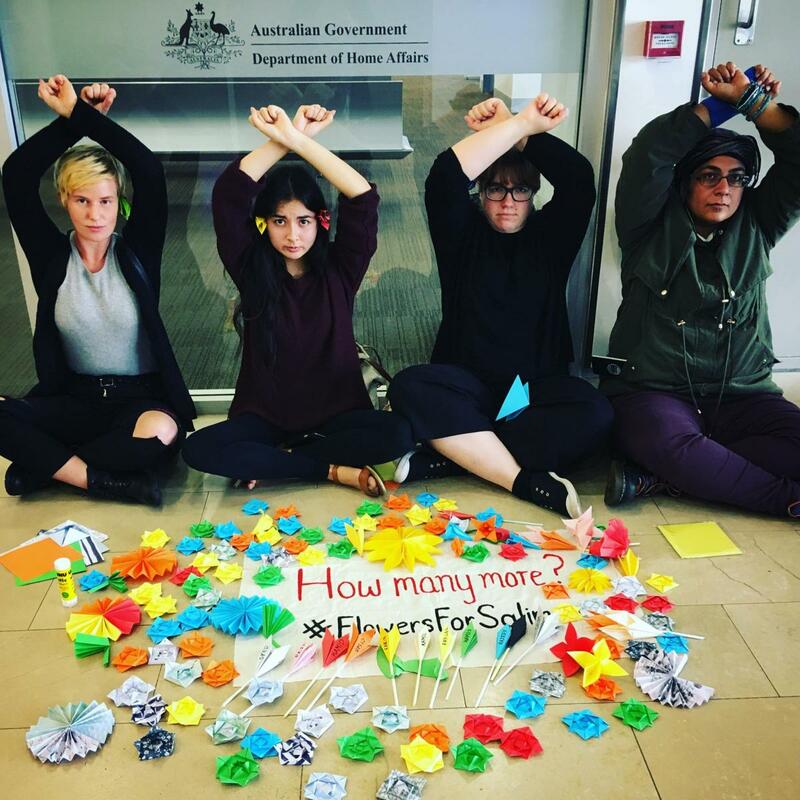 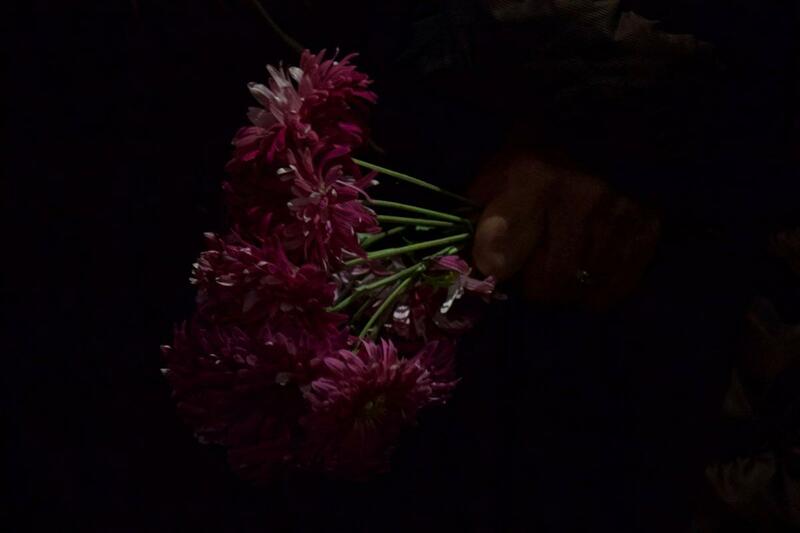 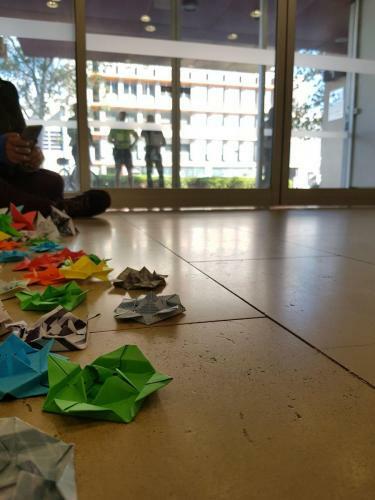 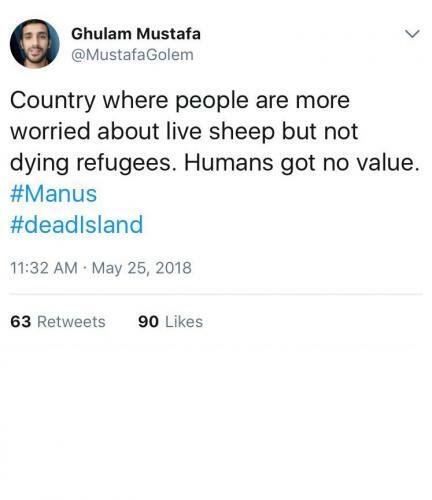 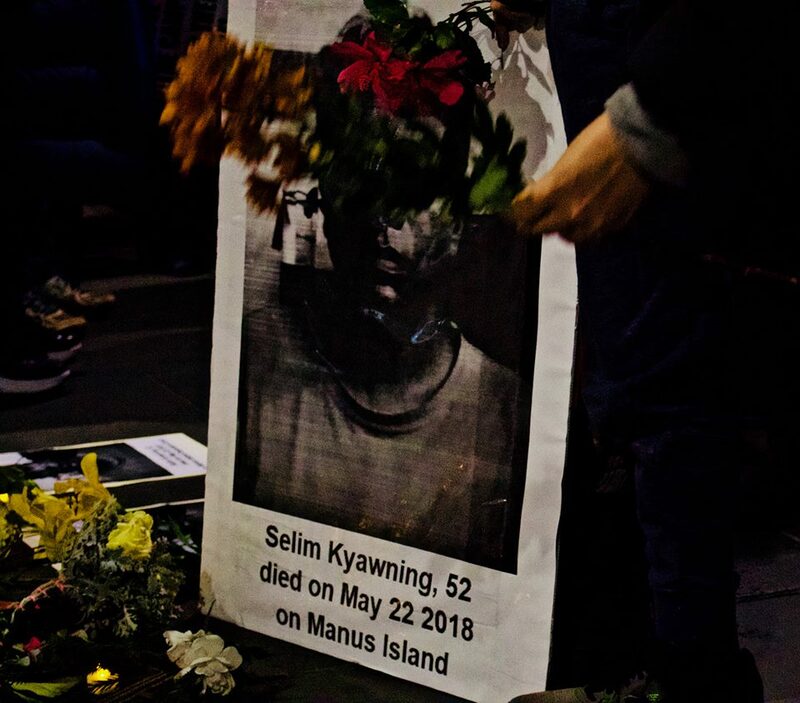 During the peaceful protests on Manus in 2017, ahead of the November siege, Salim could often be seen bearing flowers; he was known to many as the ‘man of flowers’. 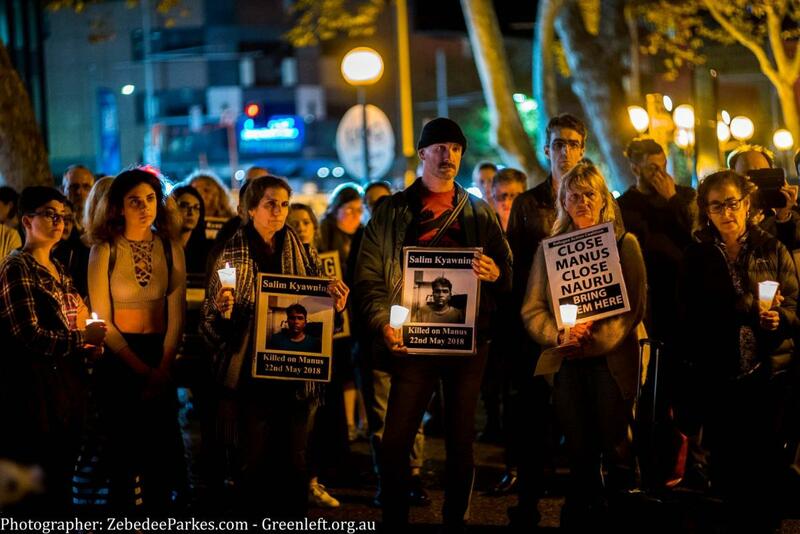 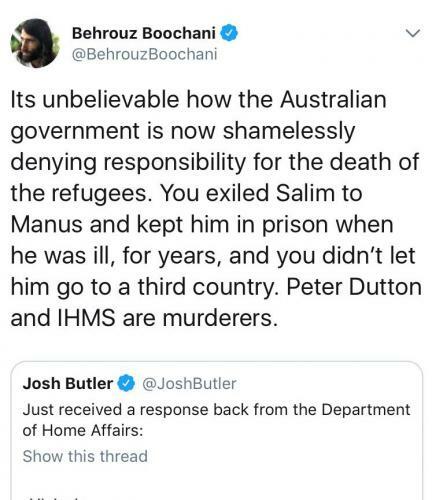 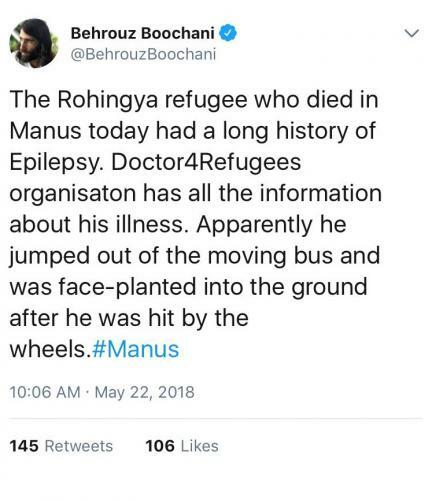 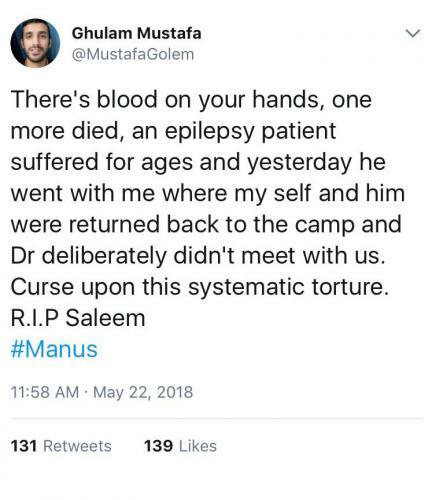 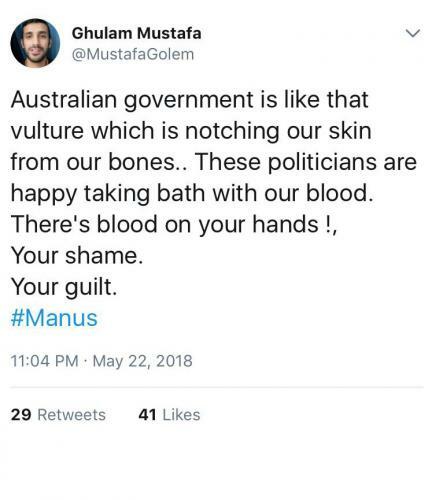 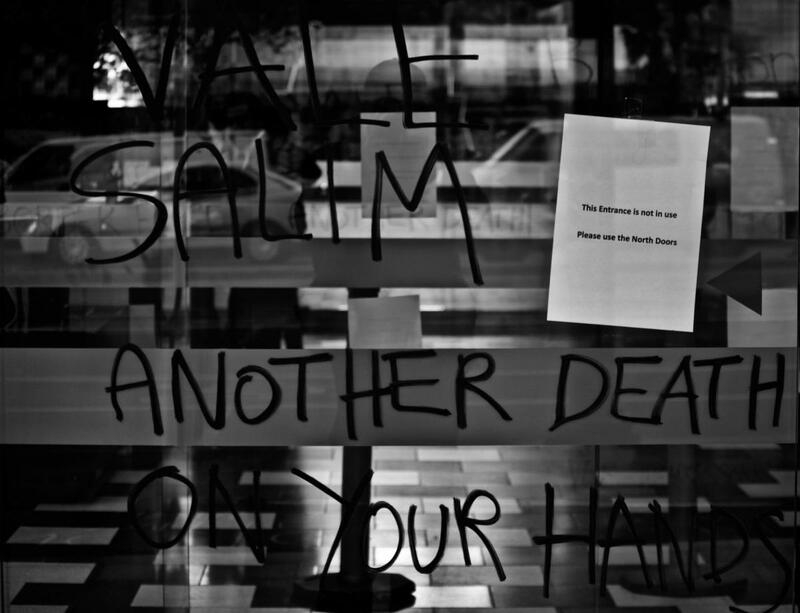 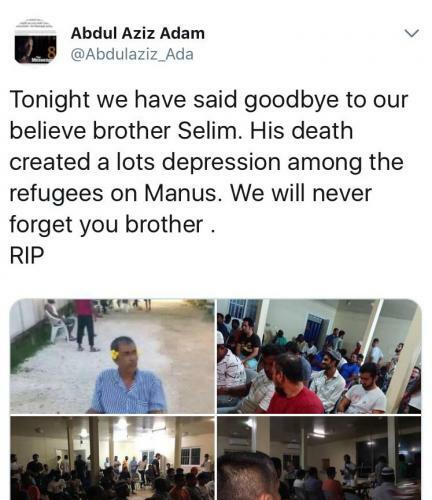 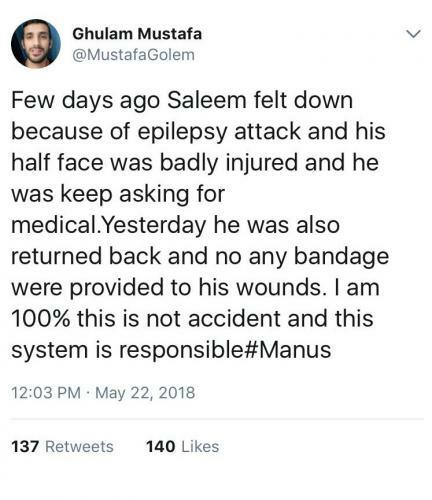 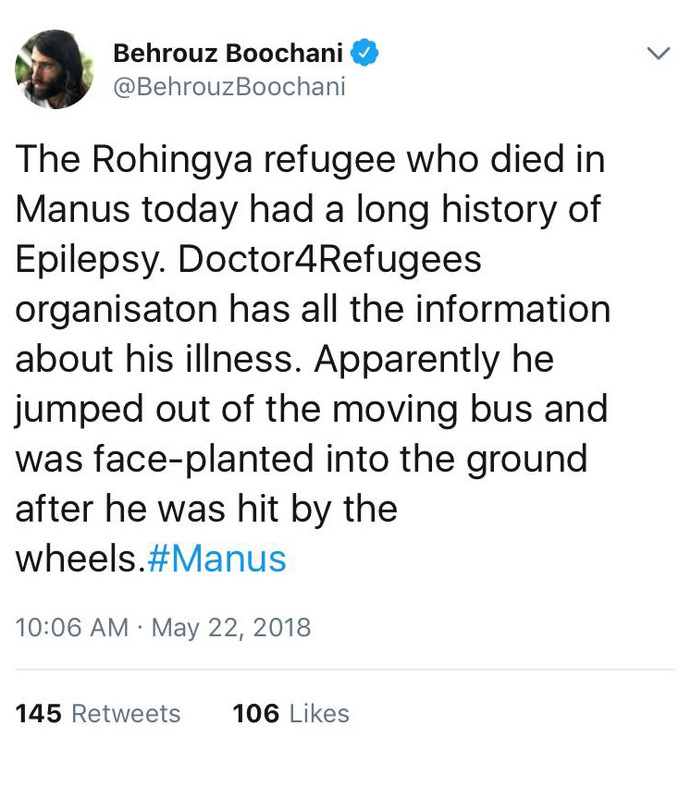 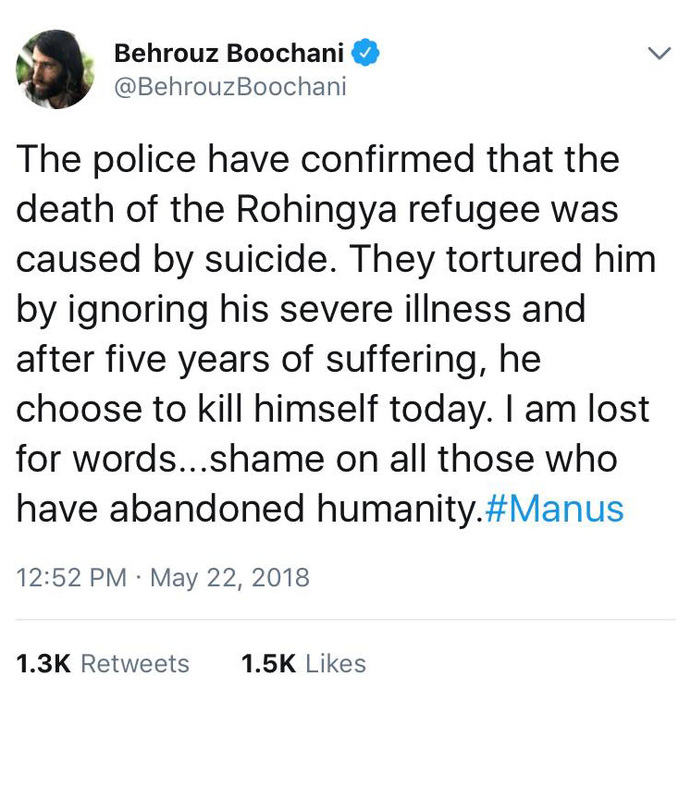 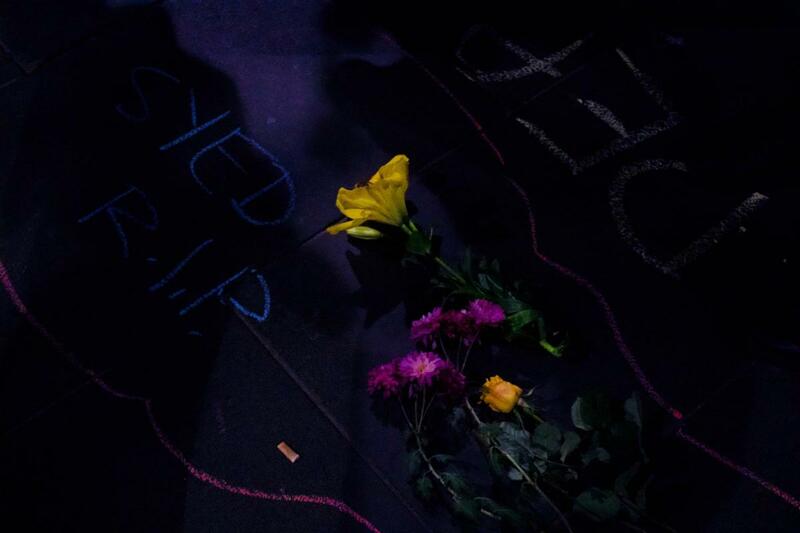 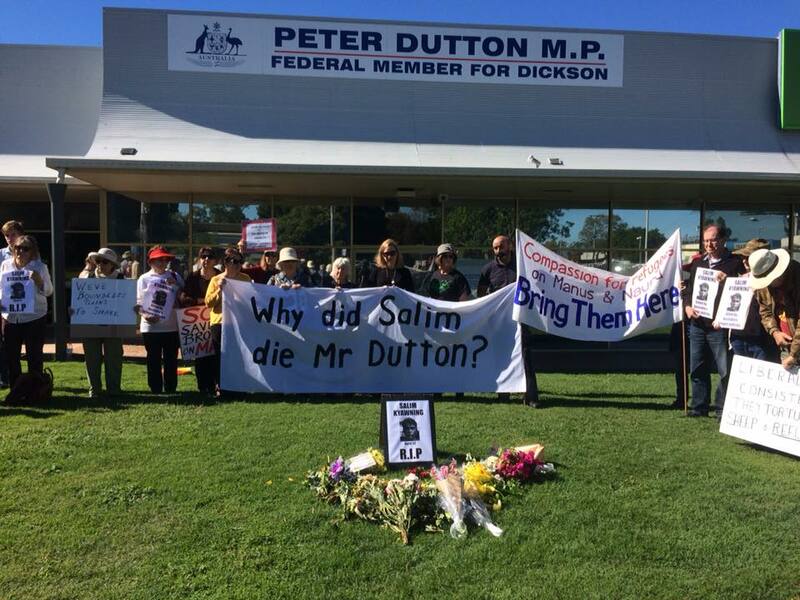 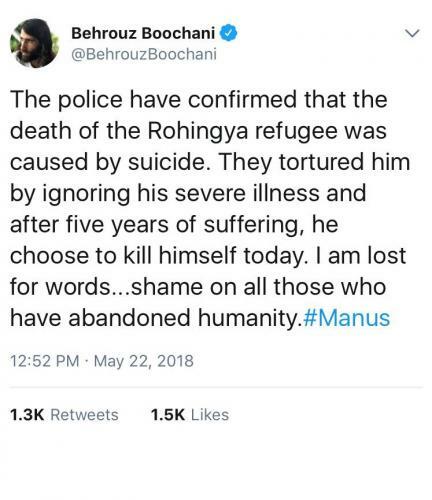 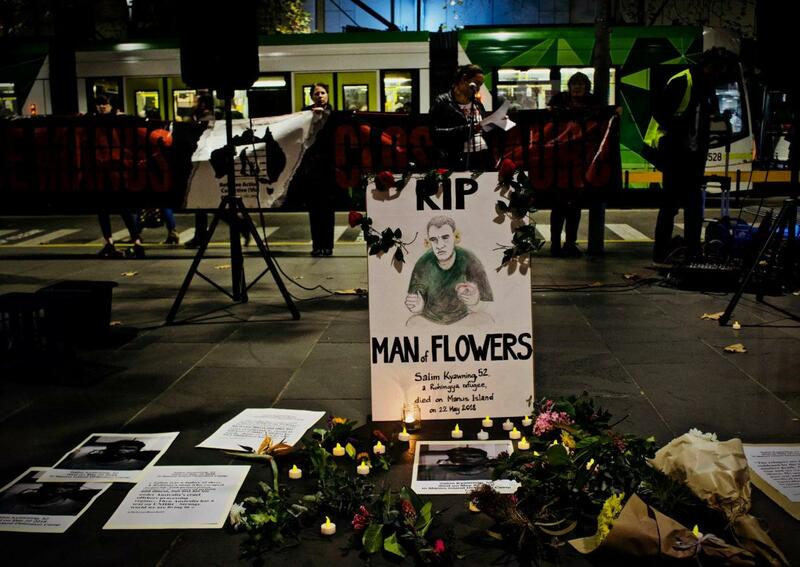 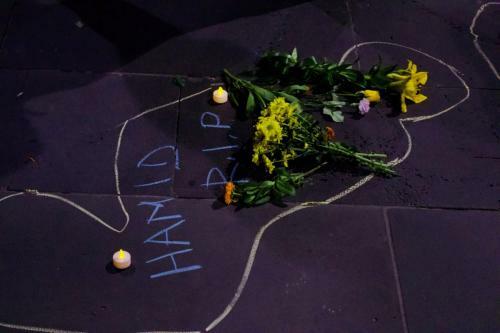 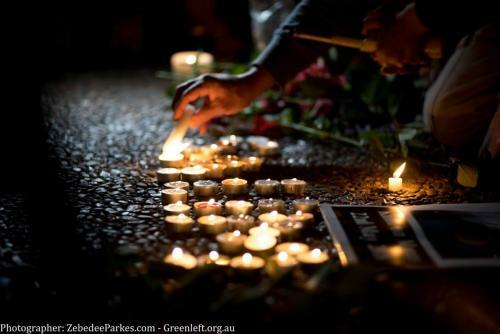 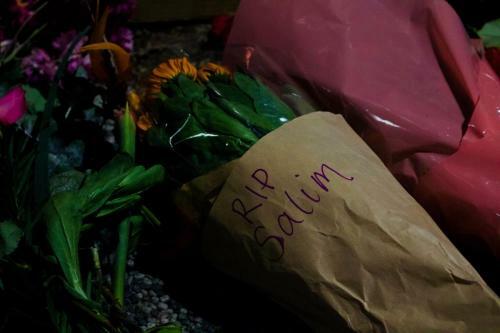 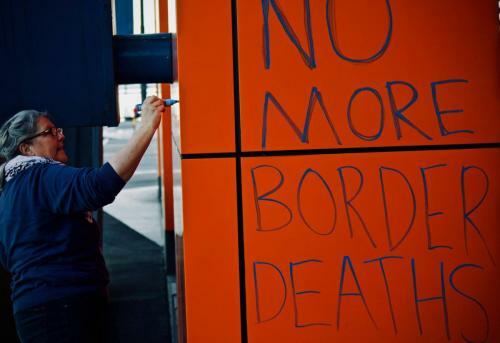 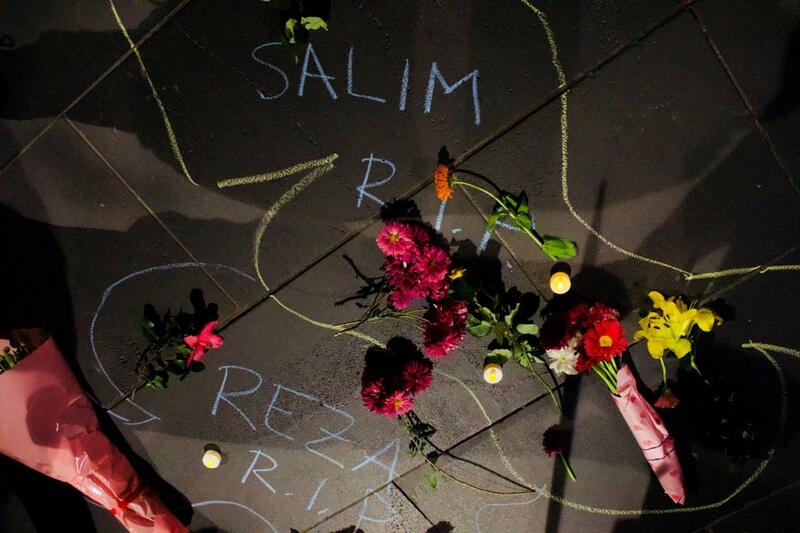 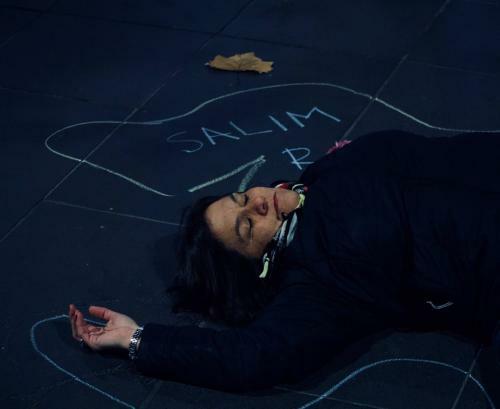 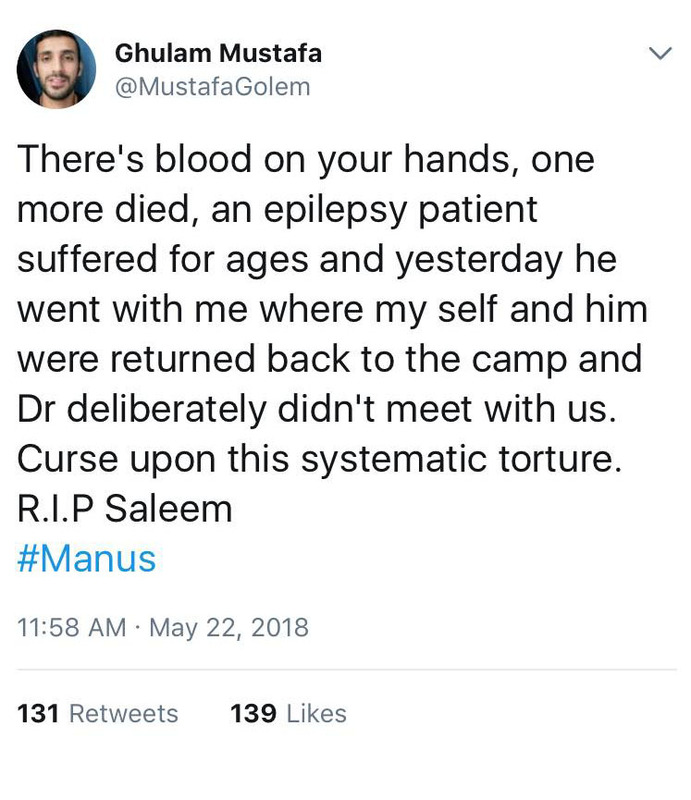 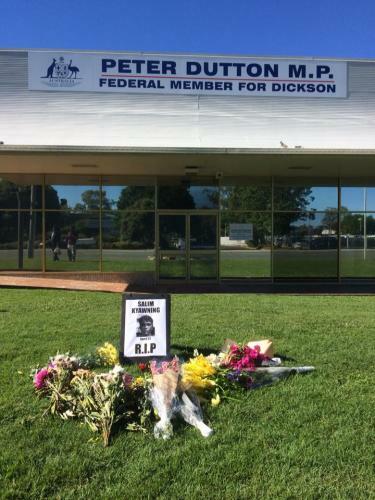 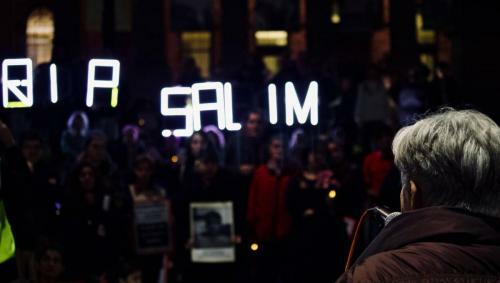 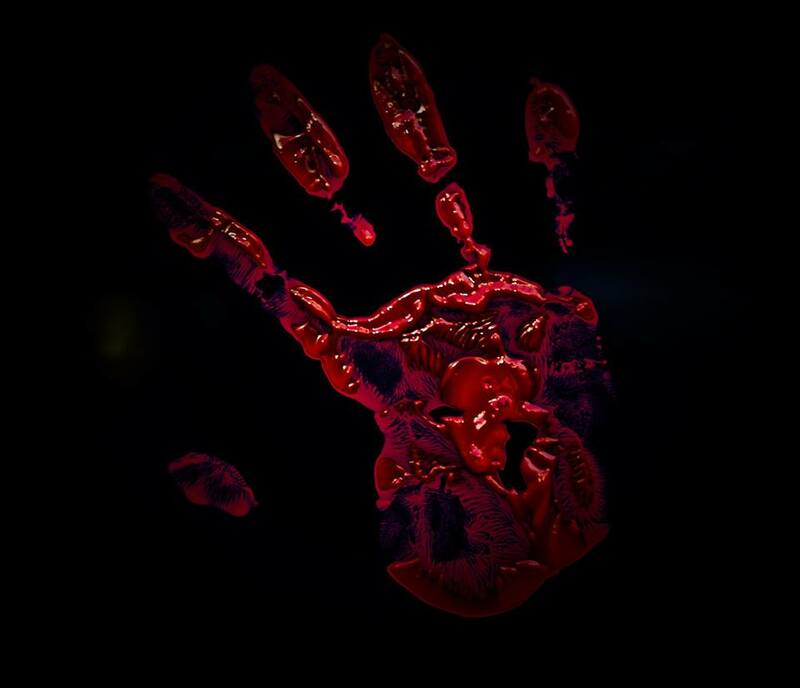 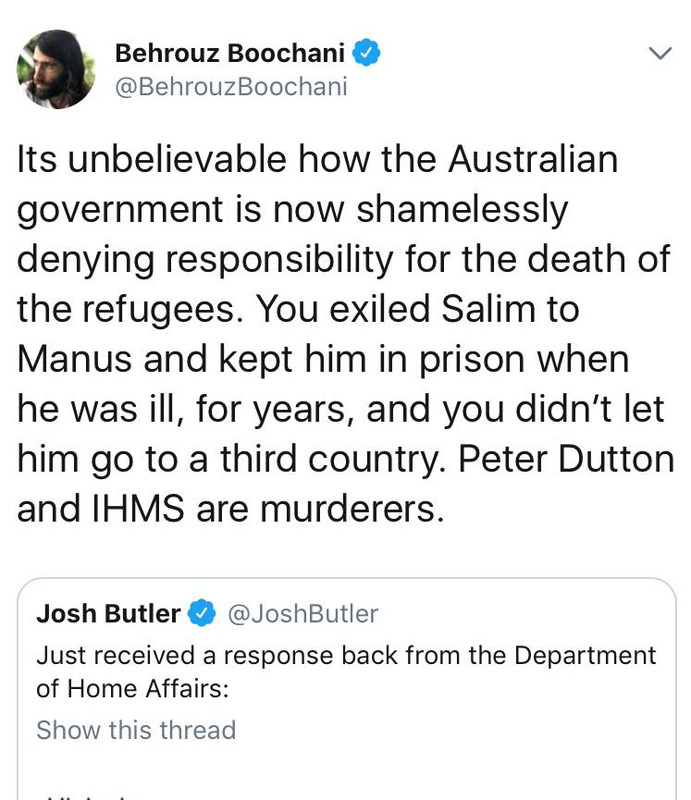 On 22 May, Salim was killed on Manus Island after he jumped from a moving bus. 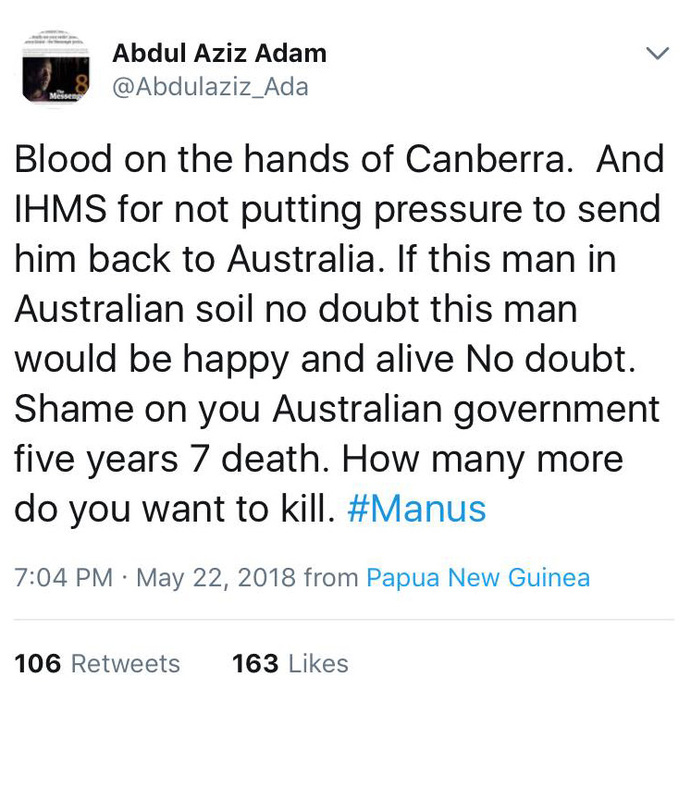 PNG police believe his death was a suicide. His death is the 7th death in Australian custody on the island since 2014. 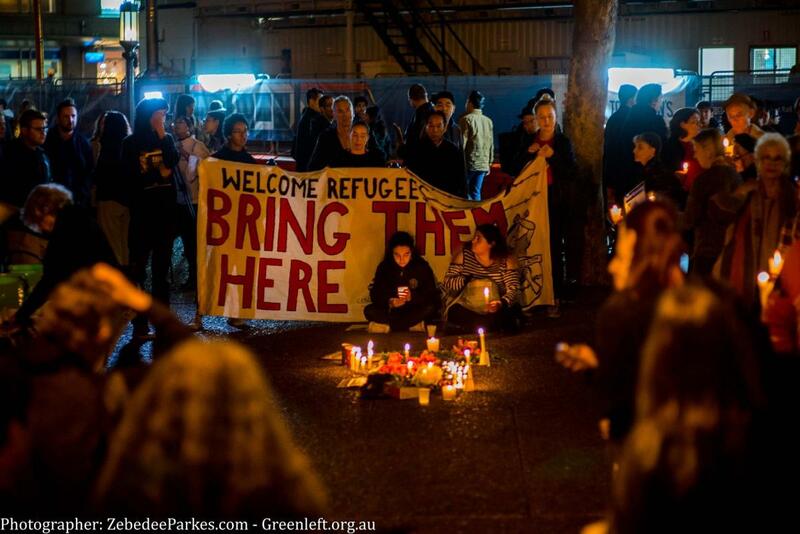 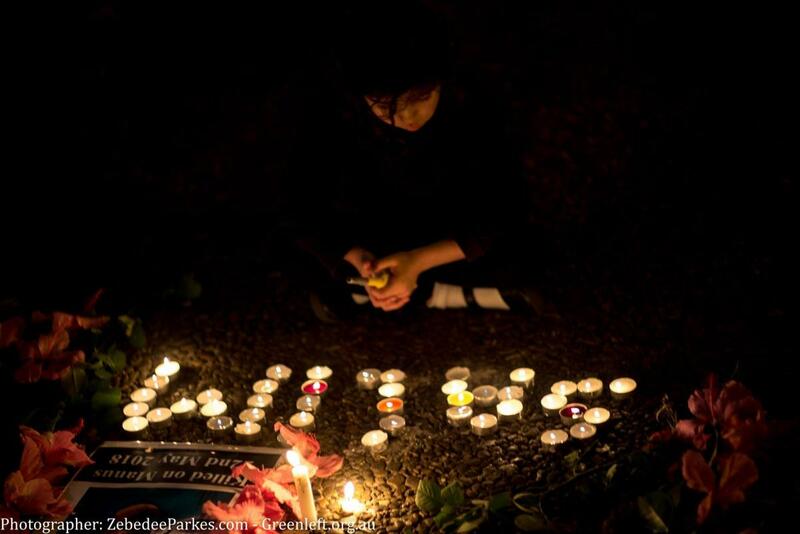 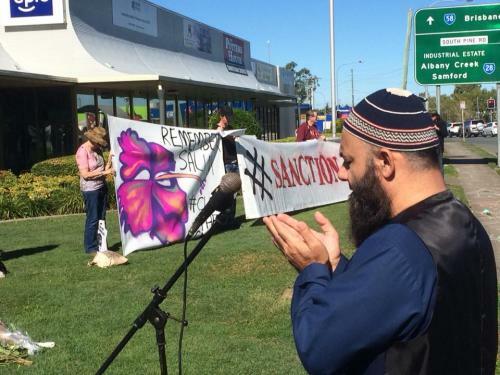 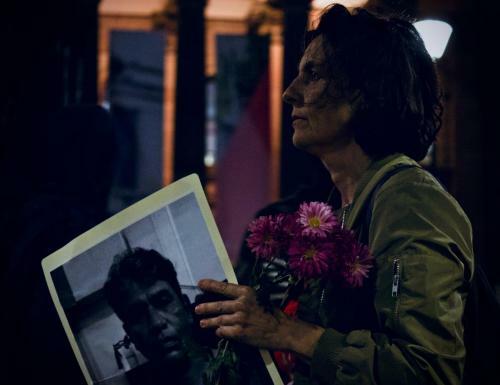 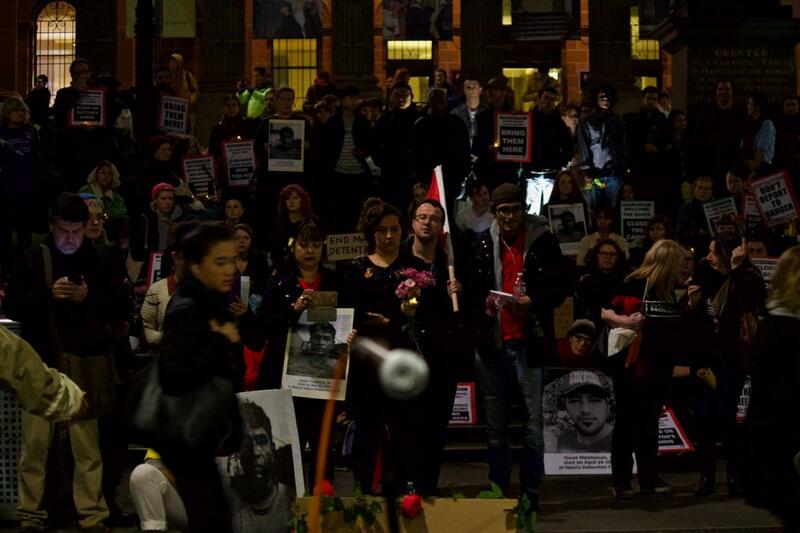 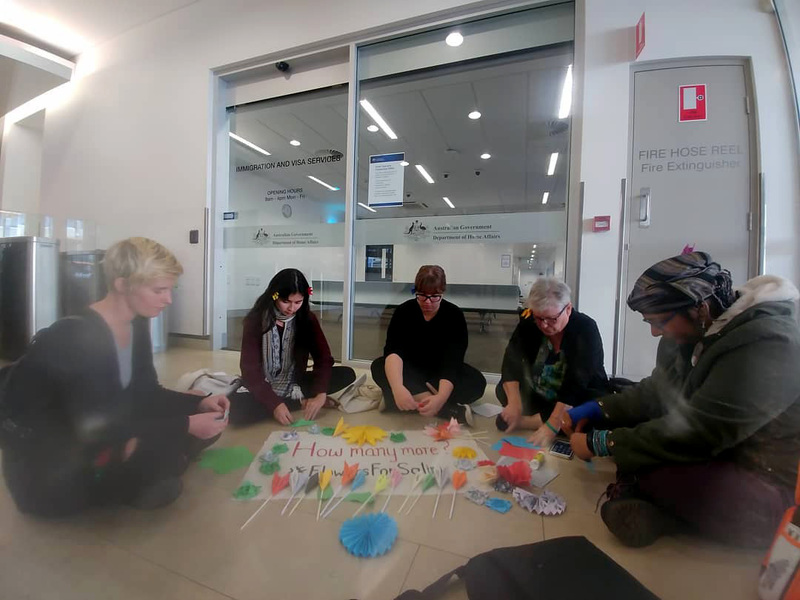 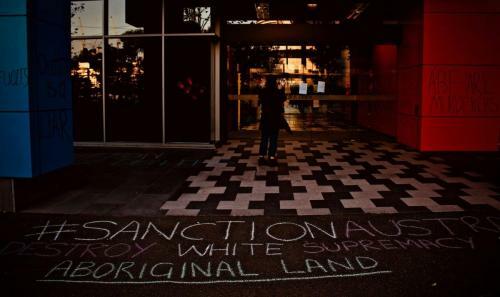 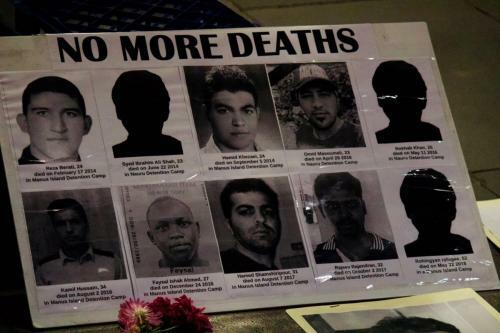 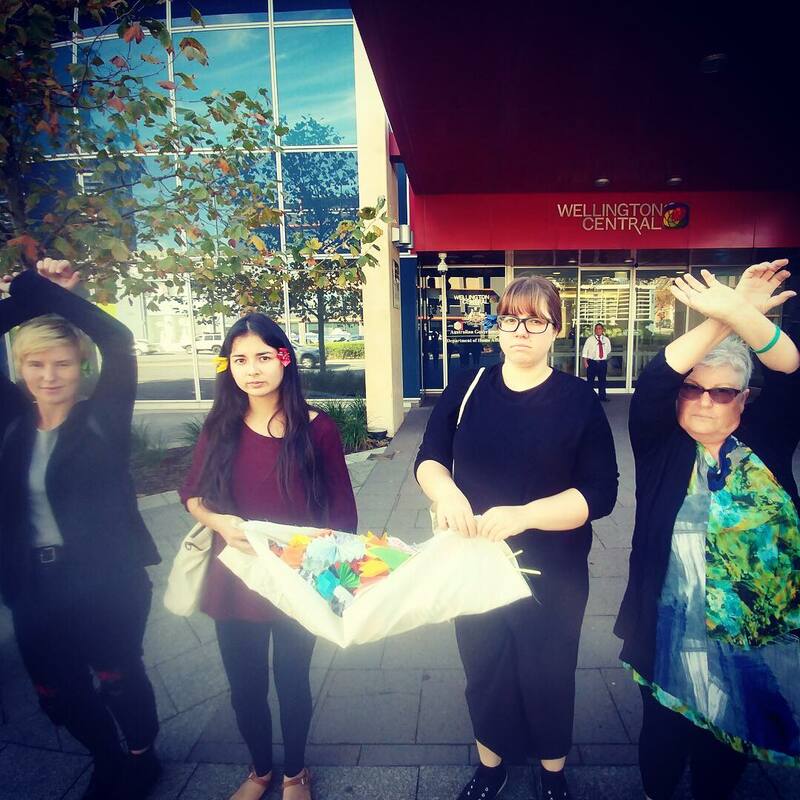 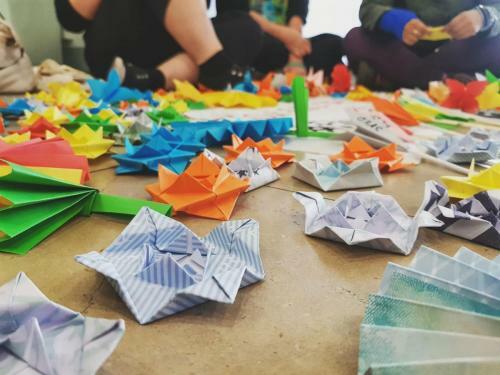 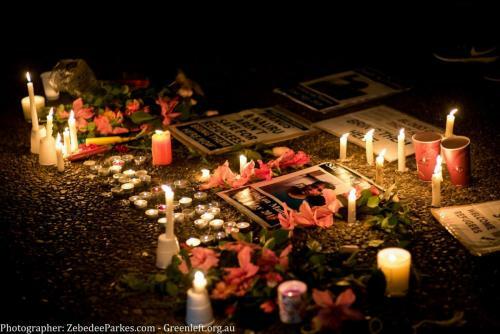 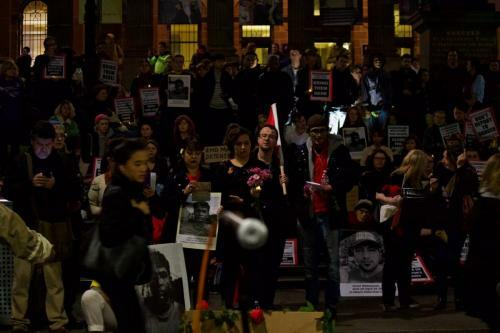 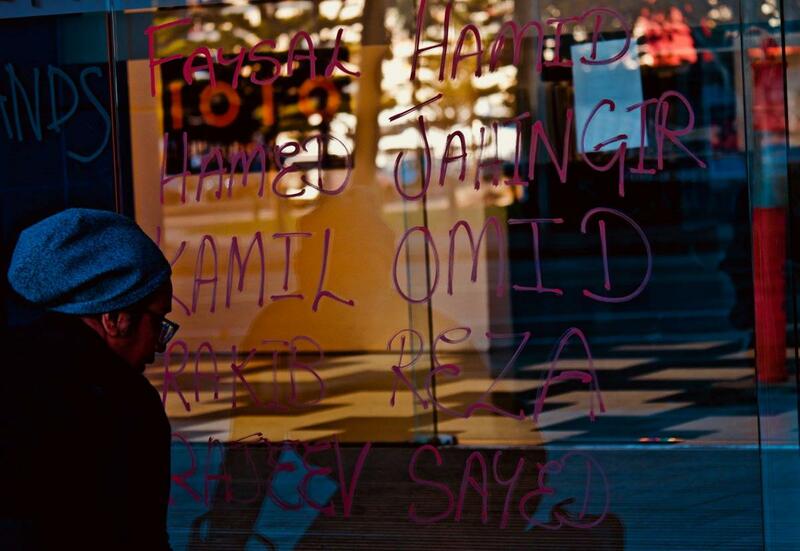 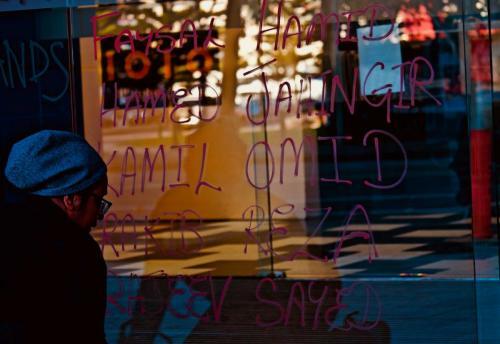 Friends and activists in the Lorengau Camps held vigils to remember Salim, while vigils and protests were held in Australian cities including Melbourne, Sydney and Perth. 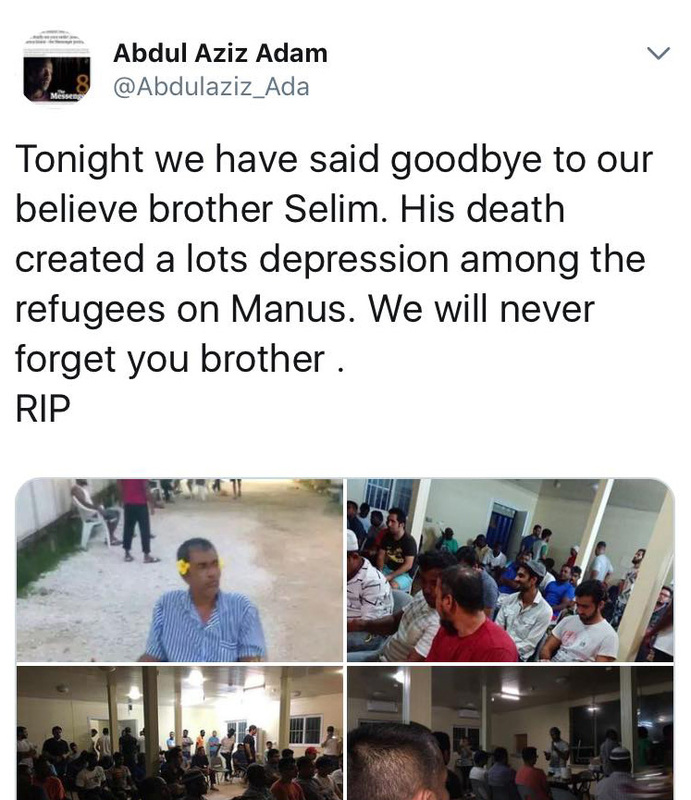 In response to Salim’s death cartoonist, Eaten Fish, who were previously detained on Manus, published the cartoon below, entitled ‘Death Angel’. 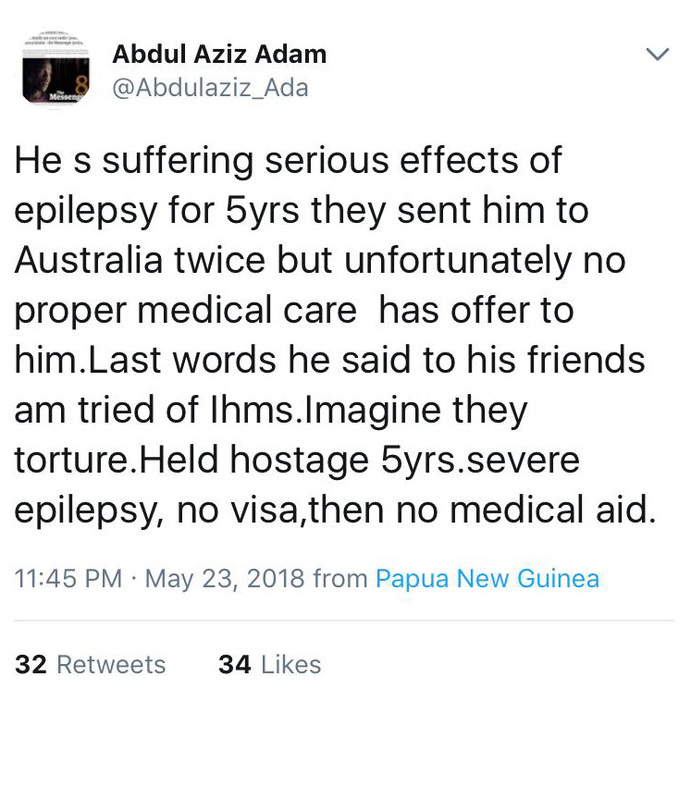 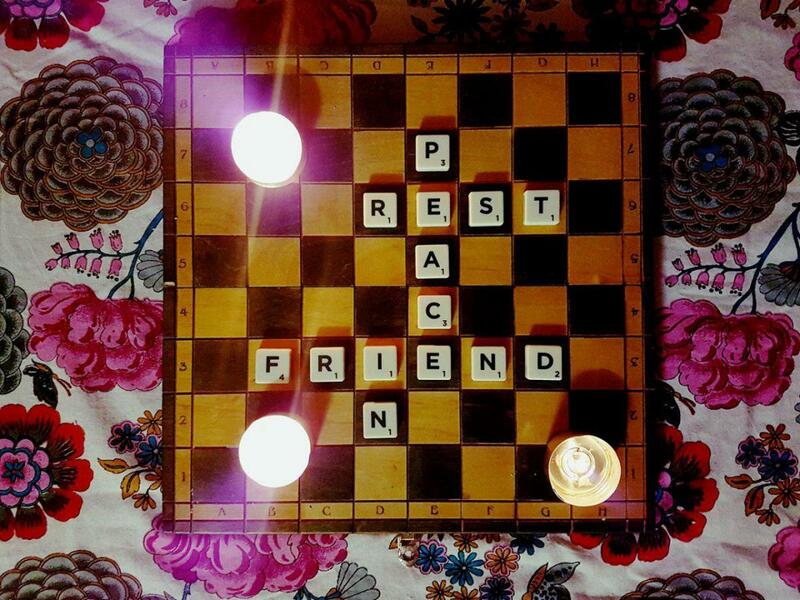 Fellow prisoners held captive in PNG took to social media in an articulation of collective grief. 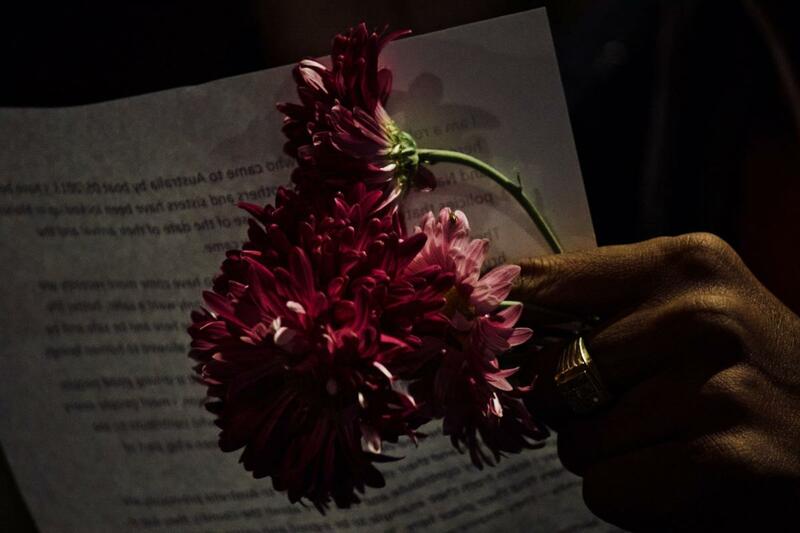 Their posts can be viewed as testimonies of resistance and love.